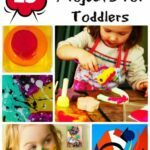 There are a number of things that I am really passionate about doing with my kids – of course, there is LOTS of kids crafts – in particularly crafting with nature and with recycled materials. 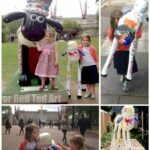 The other thing I am keen on, is to introduce my kids to art – or at least, make art fun for them and not scary or intimidating. I want to them to see art and enjoy it. I want them to pick up paint brushes and have fun. Not to feel worried about what is “good” or “bad”, but just see art as it is. I also want them to learn about the Great Artists – a basic education in art. The aim isn’t for them to know life histories or every single painting that is out there, but for them to familiar with the Great Artists and to enjoy looking at their work. I have now pulled together a set of great art books – books that we have and love or that are recommended by fellow arty bloggers. Were relevant, I have added my fellow blogger’s Amazon’s book descriptions and referenced their blogs. Below is also an interview with art book author MaryAnn Kohl. Note: the following contains affiliate links, which help me raise some funds towards the hosting and running cost of this blog! 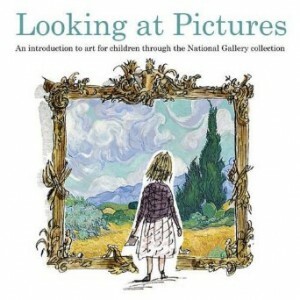 One of my favourite art books to date – produced by the National Gallery in London, with a bias to artwork actually at the Gallery, it does have a great approach to exploring at with children. I have a more in depth review here. This is part of a series of “Katie” books and you will find another mentioned next – but there are about 10 in total. They really are lovely. In this particular one Grandma often takes Katie to the gallery. 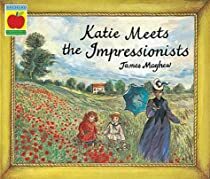 Katie wonders why the Mona Lisa smiles and whilst her Grandma has a little rest, Katie embarks on an adventure, stepping into and out of paintings. Meeting the Mona Lisa, dragons, lions and angels. We are introduced to a number of the most famous Renaissance paintings by Da Vinci, Raphael and Botticelli amongst others. It was a lovely way to “view paintings”, providing a little background about the paintings and introducing key artist to both parent and child. I love how it encourages you to “step inside the painting” and imagine what could have been happening. 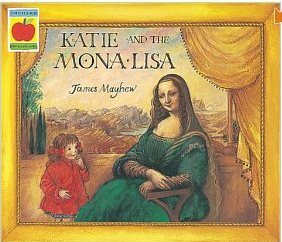 In the end Katie finds out what did make the Mona Lisa smile. Fabulous. Red Ted really enjoyed looking at paintings and discovering details, whilst enjoying the excitement of the adventure (lots of tumbling and flying and running away). When we first opened this book, I though 0h-oh – a reasonable amount of text and not your usual “small child friendly” illustrations. However, we sat down to read. I decided to skim over the text and “tell” Red Ted (then 3yrs) old the story as we went along. Starting off with Anna talking to a very kind and old looking Rembrandt then visiting Munch and the very sad van Gogh. On we go through painting after painting, meeting various artists along the way. Surprisingly Red Ted loved it! And asked for me to read it 4 times in a row. It DID help, that Anna had to go to the toilet and was wandering through the paintings to find “Duchamp’s Toilet”. Toilets always grab little people’s attention! Red Ted was particularly curious about Picasso’s Dora Maar Seated and Bread and Fruit Dish on a Table – where everything is “square” and you can see it from all sides at once. He also asked by Andy WooWoo (Andy Warhol) was selling soup on the beach. I was chuffed to bits. The back of the book has extra information on the artist and some of the paintings shown. It is fabulous and I hope that Red Ted will still enjoy it when he is 10! A great reference book for a school art project! This is great little board book that will also appeal to toddlers. 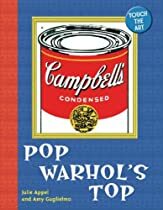 It is a nice child size and it has some wonderful Warhol reproductions in it. Like the Dog (You Are So Little) and Cat. 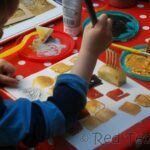 They are surprisingly child friendly drawings and with pop art brightness perfect for discussing and discovering colours. A very sweet book and one I can read with a 1 year old AND a 3 year old AND enjoy as an adult. Perfect! Because of it is clean simple pages, this would make a great book for exploration prior to an art project. Similarly to the Andy Warhol book, there is this great hardboard picture book for preschoolers exploring Henri Matisse. 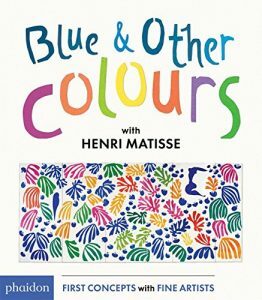 Using the wonderful Henri Matisse shapes and patterns this book explores the wonderful world of COLOUR. 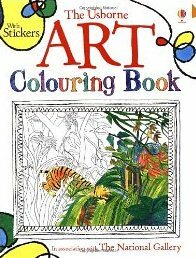 When we look at this book, not only do we discuss the colours that we can see, but we also imagine what else this picture could be about. Great fun for discussion and story telling! Though definitely for the “younger crowd”! This is the story of Vincent van Gogh through the eyes of a young postman’s son Camille (himself a subject of van Gogh’s paintings) It is indeed a little sad, as van Gogh life itself was one of non-acceptance and only late recognition. But it is beautifully told – bringing to life van Gogh’s paintings, as well as teaching your children about “being different”. Part of a series of books. “It’s never too early to introduce little ones to art. 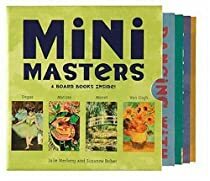 We love these box set of board books introducing Van Gogh, Monet, Degas and Matisse. Sturdy books with beautiful paintings.” Recommended by Smiling Like Sunshine (read full review here). I think this book may be out of print in the UK, but I managed to get one second hand. “Ted Harrison is one of Canada’s modern artists. This book is the first illustrated edition of Canada’s national anthem, “O Canada.” Different lines of the song, which is in both French and English, are paired with Canada’s territories and provinces. Each territory and province is described at length for a picture book. 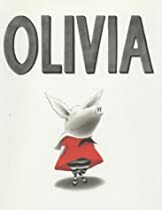 Adults will find the information interesting, too.” Recommended by The Wise Owl Factory, please visit for a full review. 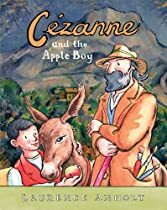 “This is a great book because it incorporates a painting by Degas and a painting by Pollock without elaborating much on the paintings. 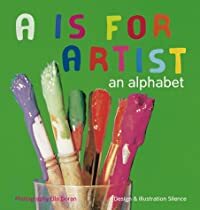 A mom or teacher could use the book as a jumping off point to discuss different styles of art, how art inspires people in their lives, or use it as a lesson about those particular artists or pieces of work.” Recommend by 52 Brand New. Not strictly speaking an art book in the sense of the ones above, but one that ENCOURAGES getting arty – “Just make a mark and see where it takes you.” Vashti says she can’t draw, but her teacher thinks she can. She knows there’s creative spirit in everyone, and encourages Vashti to sign the angry dot she makes in frustration on a piece of paper. 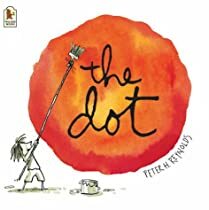 This act makes Vashti begin to perceive herself differently, and see that where there’s a dot there’s a way…” Recommended by Awesomely Awake. Recommend by 92three30 – go visit it for the FULL review and more on Tell Me A Picture. This is part of a series of “I Spy” books – there are also shapes, animals and alphabet to name but a few! Book One Available here from Amazon.com and Book Two from here. We have ‘The Art Book for Children’ which is based on the iconic ‘adult’ version. 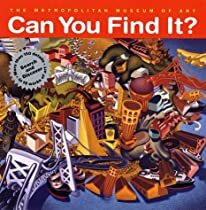 I love it because it looks like a piece of art itself, covers lots of different styles and has thought provoking questions on each page to spur further creativity. Recommended by Make, Do and Friend. If you want to read more abou the “iconic adult version”: The Art Book, then 92three30 has a review of it for you. This is an additional to the book recommendations, as well as MaryAnn Kohl’s Great American Artists. I confess, that I still have these book “on order” and am eagerly awaiting their arrival. 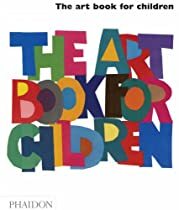 But many of you will be familiar with MaryAnn Kohl and the fabulous range of art and craft books for children that she has written. In them meantime, I have a mini interview to share with you, which will hopefully support you in your Kids Get Arty journey! 1) How did you start off on your Art journey? As a child, I began my art journey with a box of crayons. I adored crayons, even the ones I accidentally left out in the sun on a rock. Fascinating! About age 3, I made a huge double-arm double-handful crayon-swirl above my bed on the wall. It had every color in it, and was probably about 3 feet across. Or so I remember. My Mom was nice about it when she discovered what I had done, but instead of being angry, she bought me paper to tape on the wall instead, and can you believe she left the huge swirls instead of painting over them? I could stare at them endlessly when I was little, seeing animals and faces and all kinds of things within their swirling lines. Then came coloring books, followed by pastels and a book of how to draw fairies and elves for Christmas. I gradually progressed toward simply loving to draw. I was never all that good, but I loved it. When I began teaching elementary kids, I found that all, and I mean ALL the kids loved art and were quiet and on task when they were creating. So I began to bring art into as many subjects as possible. Kids seemed to learn so well when they could do art at the same time. When I learned about some of the great masters, I encouraged the kids to try the techniques of some of the more famous ones like Monet and Van Gogh, and they LOVED it! So I was hooked. That’s when I began to study up on what artists might be interesting for kids to know about. 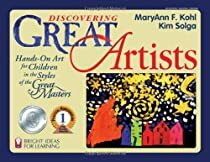 Now I have two books on the subject: “Discovering Great Artists” and “Great American Artists for Kids”. I never knew art would become the guiding force in my professional life, but it has, and it’s so wonderful to impact the creativity of children through my books. 2) What made you decide to write art books for children? I grew up in a book family. What I mean by that is that my Dad ran a book bindery where I spent many Saturdays watching the presses and smelling the ink, the leather, seeing books pop out of machines and then stack on huge shelves in the warehouse. It was amazing to see! We were given many samples to bring home, and publishers were always sending us books in the mail. My Grampa owned bookstores across the country, my Grandma was a published author, and my Mom ran a lending library from our very own living room. Books, books, books! Our home library was arranged by color (thanks to my mom) and not by title or author. I still remember many of my favorite books by their colors rather than who wrote them or what they were called. All my life I somehow expected that I would write a book. I didn’t dream about it, I just knew it. And when I was ready to actually do it, instead of writing a story as I had imagined, I took my favorite art ideas from teaching and published them myself in my first book, Scribble Art. My kids were both in school all day for the first time, and I had that little bit of extra time to put the project together. And that was the beginning. On top of that, everyone in my family seemed to be a person who created or was an artistic person – nothing fancy or super talented, just good and creative. My mom played piano and was an oil painter, my Dad was a cartoonist and played guitar and sang, my brother was a great writer, and then there was me! I liked crayons and ballet and later piano and singing. 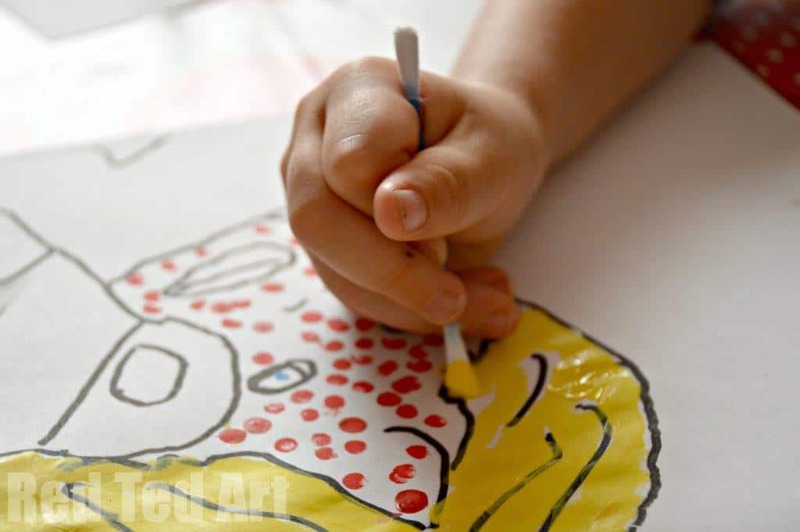 3) What is your best advice to someone who wants to do arts or crafts with their kids but says “I really can’t do art, I am not artistic at all, so how can I be creative with my children”? Being creative has never meant being skilled or good at art. Being creative is a way of thinking, a way of life. It means that during any part of your life, you can think up options and choices, that you are open to alternatives and flexible to new ideas and new ways of doing things. So begin there. Be open to seeing what your kids can do with the materials you provide for them. it doesn’t have to be fancy. Cotton balls, glue and paper plates would be an easy example of collage materials for kids to work with. Let kids cut junk mail into shapes and pieces and glue them or tape them together. Give them construction paper, scissors, and a stapler. What you are doing is giving them permission to discover, experiment, and test their own creative waters without fear of judgement. What you want to remind yourself is that it is not the cute or gorgeous finished product that gives value; it is the process of creating and trying new ideas and experimenting with materials that has value. Say to yourself:”It’s the process, not the product.” Keep repeating that! 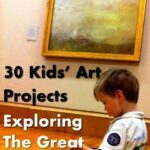 4) How do I start exploring Art with my children? Being early, even before age one. But if you didn’t begin early, now is the right time, the right age. Have a little shelf or box at child level where they can access their own materials. If they are very young, you would want to bring out things for them and set them out on the floor on a mat or on a short table. Don’t put out too much at once until the kids get used to using materials and helping to clean up too. The more they do, the more they can handle. And isn’t that important, to be able to do more and more as they learn? Art is like the language that has no words, but still speaks. For many children, it is the only time they let their feelings flow. For other children, it’s more like science where they test their ideas and try new things. For yet other kids, art is a time of calm from the storm. Children who are encouraged to be creative and have opportunity to create tend to do better in all their subjects in school as they grow. Just think: We have an entire hemisphere of the brain that is ready for creativity! It must be important!! 5) What should be in my basic art box? The list could grow from here of course. I have to mention that my favorite art supply is called “liquid watercolors”, which I buy at discountschoolsupply.com. I love love love those paints! 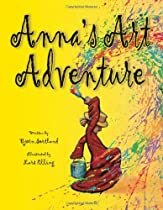 MaryAnn F. Kohl is the author of over 20 books on creative art for kids, owns Bright Ring Publishing, and is a literary agent for the parenting and education genre. MaryAnn enjoys writing, skiing, playing with her dog, and all things family. You can connetc with MaryAnn Kohl via publishing site, her blog, her facebook page and her twitter account. What a great selection of books I now know what will be on our May book orders when I do them. From my own point of view I love classic art from the 16th Century but introducing it to J (2 and a half) and T (13 months) I’m going to go for some modern artists – Jason Pollock first followed by Mondarian which I think even T will be able to appreciate and create something by. I can’t wait to start exploring these books that you recommended! There is an Andy Warhol museum close to us that I’ve been wanting to take my son to, so I think we would start there. Van Gogh is another that I think he would enjoy! Thanks for hosting such a great giveaway…we’re from the U.S.
I’d like to explore Klimt with my Goose. I think she’d like the shapes. I’m in the US. I’m loving this selection of books. I’ve been hoping to get a new series up on my blog reviewing art books for kids (we always check out at least two from the library every week) this is a good place to start! Great selection of books. So hard to choose an artist, I would like to have a look at Kandinsky and then maybe Paul Klee…. and we are from Australia. Each week, my friend and I have a “learning playdate” for our kids. We try to cover all areas: Science, Math, Movement, Language, Reading and Writing. We are in the planning stages of having a couple of art learning playdates. I would like to start with Geroges Seurat and have the kiddos learn about pointillism. I would choose Mondrian as my 10 month old would love the bold colours, we are in the UK. 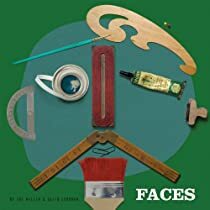 I would first like to learn more about pop art, so Eduardo Paolozzi looks interesting as well as the other authors mentioned in Faces. I live in the US. What an incredible selection of books! 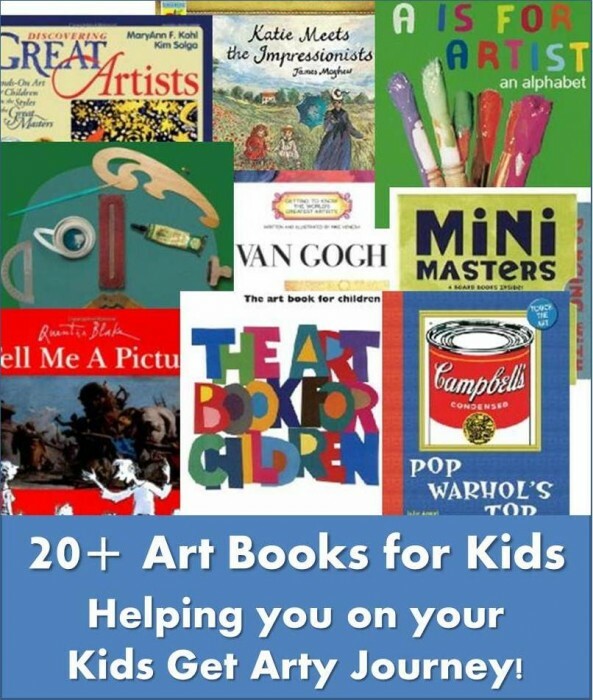 I definitely need to get several of these for my art-loving kids! 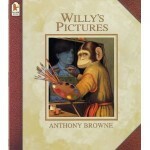 Extensive and thoughtful collection of art books for kids. My grandsons would love these! I would introduce them to Monet first, then maybe Picasso. Very different approaches but I think both would appeal to kids. This is a great post with super references I will definitely be saving. I would love tp explore more with Mary Cassatt because of her wonderful mother and child paintings. I am in WA state, USA. I am so excited to start. I love ART TREASURY by Rosie Dickins. Oooh thanks for the book recommendation, will go and check it out!! 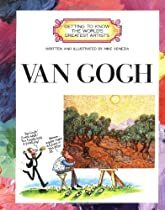 I would LOVE to explore Van Gogh (among everything else in her book) with my moms group! Fabulous project – I am so excited about it!!! Love this post and all the books!!! And such a fan of MaryAnn Kohl!!! All in all you just made my day with this post!!! This is a wonderful website! I would want to explore the mobiles by Alexander Calder, or the sculptures by Louise Nevelson. After reading about these 2 sculptors, it would be easy for all ages to make sculptures and mobiles! WOW! 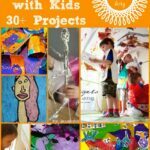 I so want to be a part of the Kids Get Arty Linky! What a great idea! I have always had a dream to be an art teacher to older kids! Right now I teach arts & crafts to preschoolers. Thanks for lighting the flare under my bottom (LOL) and inspiring me to get a curriculum plan together. I have a background in oil-painting and I would love to teach children about some of the traditional/classical methods of drawing/painting I have learned along the way. I think I would teach about Matisse first, as I think he would draw a children’s interest in — his very colorful palette, his kid-like manner in painting, and his paper cut-outs would all be I think fun and inspiring for little folks to look at and be encouraged by. Thank you for hosting this giveaway, and the linky! I live in the US! thanx again! What a fabulous selection of books, my kids are art mad – one labelled gifted and talented at art! (didnt get it from me) They would adore this prize. I enjoyed reading this interview so much! MaryAnn F. Kohl´s books are my absolute favourite inspiration for art activities to make with my daughter. There are many artists that I would love to more know about and explore, one of them would be Chagall. We are currently living in Hong Kong. My boys love art! I would love to explore Van Gogh with them! My children love art and I want to build on their interests. I would love to explore Van Gogh first. It would have to be Dali – we visited his museum in Spain last summer and the kids loved it! We live in the UK. Hmm, that’s tricky as there are SO many I want to introduce to my kids! Possibly we will start with some COLOUR! So Matisse or Kandinsky! We are in UK. We’d love to explore Mary Cassatt. We live in the USA. Thanks for this fun giveaway! I think I would choose Georgia O’Keefe because I know my girls would love her artwork! I’m in the US! I live in the US (Bay area in California) and we are going to study Romare Bearden and his use of collage. I think my son would have a great time creating a collage with magazine clippings. 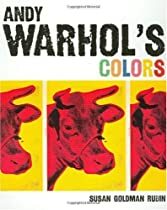 Would like to explore Andy Warhol’s work. I am in the UK. I’d like Bruegel. Just love childhood games. Could look at that pictures for ever. MOonet,my daughter loves his pics. I’d love to introduce Bee-Bo & J to Van Gogh because of the color and emotions in his work. (I’m a die hard Francophile and love that he lived in Arles!). 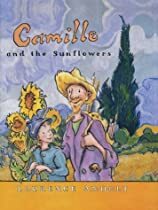 I am in the US and will be reading Camille and the Sunflowers tomorrow to Bee-Bo. I’m a k-1 art teacher and love your tips. I would recommend that you make a list first that could be printed or in my case I’d take an iPhone screenshot so that I could shop for these books easily with my list. Just a tip! Thanks! Oh that is a good idea. Will see if I can create a printable, thank you. I am thankful that you asked Question No. 3! I read and re- read that answer; thank you! Till this point it used to really make me sad that I was not ‘arty’ enough, or ‘talented’. 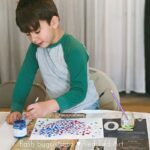 I could not even make ‘cutesy’ things by following simple instructions… but I want my son to enjoy Art, appreciate it and in the process believe that he can ‘create’ anything he wants (even though I struggle with that a lot). I have been reading your blog and many other blogs who have been like a real boon for people like me; and I really like Van Gogh paintings, Matisse. I love your book recommendations! So pleased this interview has helped you! thank you for this list. 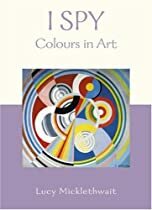 We are on holiday in the US and have just borrowed this amazing book from the local library: “The Noisy Paintbox – the colours and sounds of Kadinsky’s abstract art”. 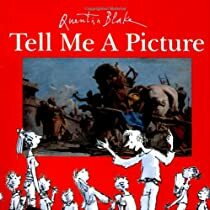 Our 4 year old has fallen in love with the book and is now confidently discussing how paintings ‘make her feel’. Note to self: buy a copy when we get home! Ooh sounds fab! Thanks for the tip!